SmartGames has already quite an impressive catalog of games. There are so many choices it's hard to pick just one good game. 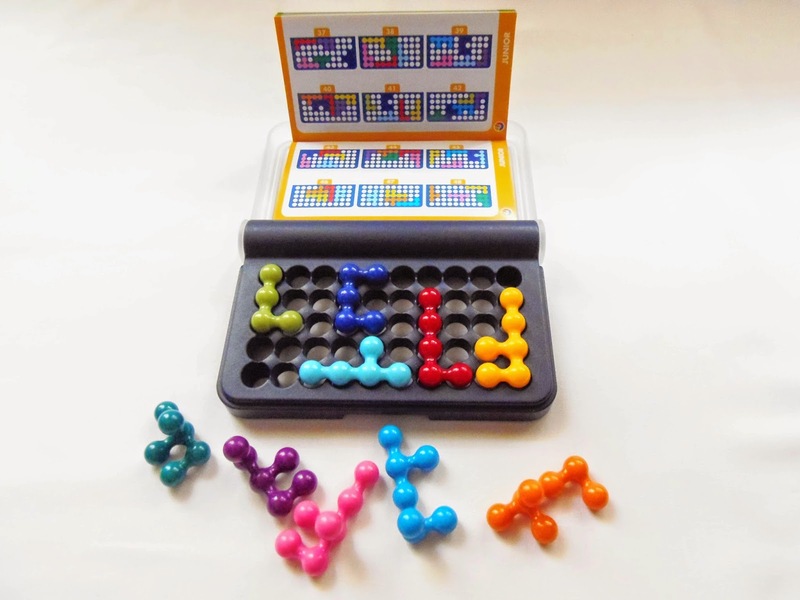 Among this immense collection, there's a range of games that's a delight to any puzzle enthusiast, simply called IQ. This series, designed by Raf Peeters - Who else? - already has six different designs (so far), all quite interesting and addictive, especially if you're into packing puzzles. The one featured today is the IQ-Fit with 120 challenges to solve. Like all the games in the IQ series, the IQ-Fit features a small game board with a convenient closing mechanism, perfect to take with you on your travels. 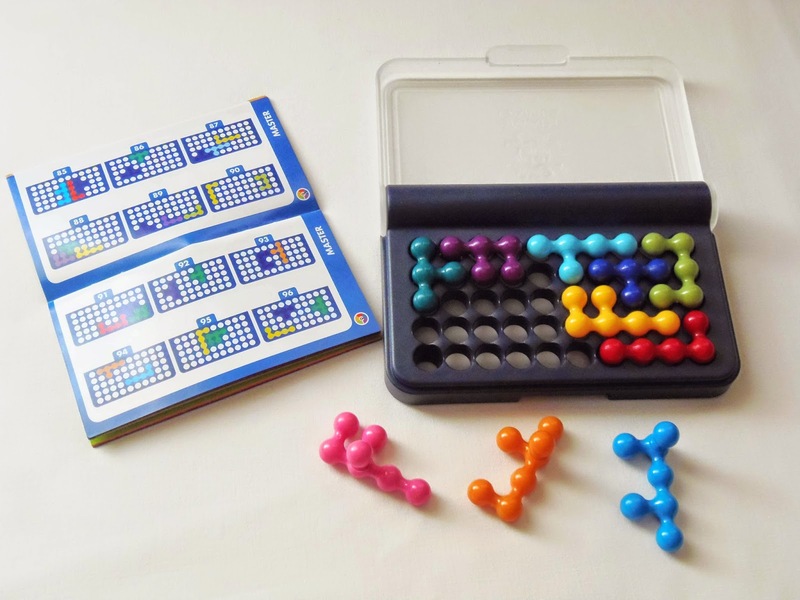 Inside the game board, you can store all the pieces neatly in a rectangular frame and the booklet with all 120 challenges - enough to keep you busy for a long while. The pieces are what makes the IQ-Fit so unique. Each of the 10 pieces have two protruding sides, one ball on one side and two on the other. Also, some pieces have a total of six balls, others seven balls. There's no two of the same pieces, even though some may appear identical when viewed on one side. Each of them have a different color, so it's easier to differentiate between them. 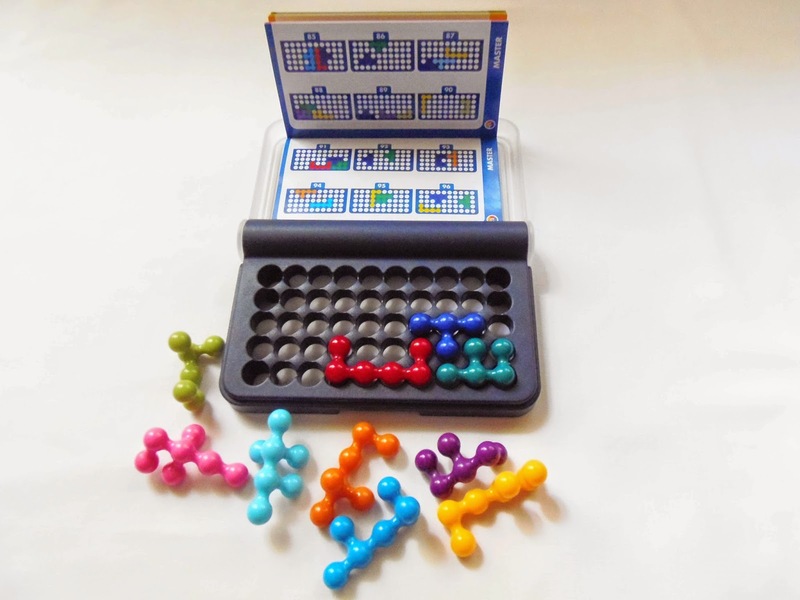 All challenges occupy an area of 10 x 5 units when solved, with extra balls having to be fitted inside the holes of the game board. No protruding balls are allowed outside the edges of the game board and all holes should be covered with pieces. These IQ games are also quite easier to understand than the others in the SmartGames range, because there's less rules to worry about. Simply set up a challenge and play. The first challenges are extremely easy with most pieces already on the board, but they're very useful to better understand how the game works. As you progress through the five difficulty levels, less and less pieces are placed on the board at the beginning of each challenge, thus becoming increasingly difficult. All challenges have one solution only, so think wisely before placing a piece in the board. Do you have what it takes to tackle all 120 challenges? All of the games in the IQ series may seem similar at first, but it's quite the contrary. Each and every one of them has its own unique characteristics and special features that makes them intrinsically different from each other. In my opinion, the IQ-Fit looks like one of the most interesting in the series so far. If you're a packing puzzle fan, you shouldn't overlook this one. 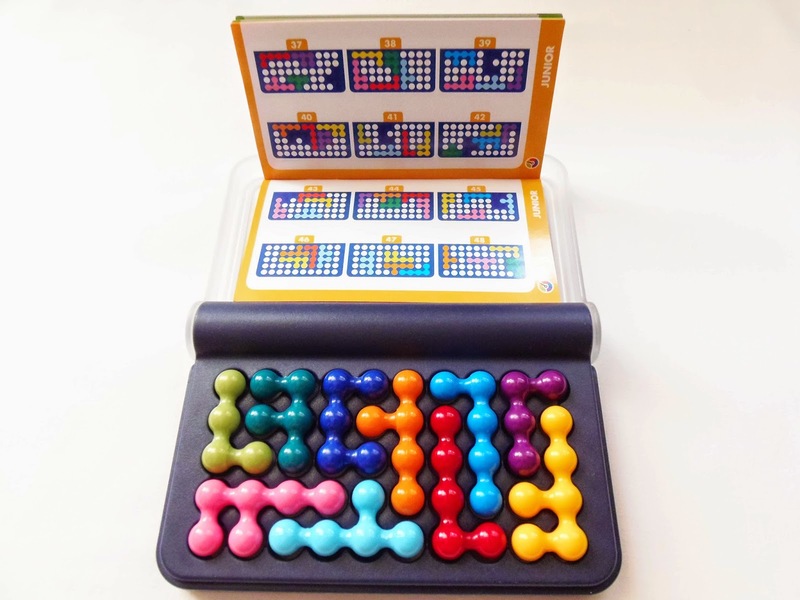 Availability: IQ-Fit is available at PuzzlesdeIngenio.com. You can also browse for other SmartGames. I have purchased this puzzle, and it is not one of my favorites. The 3D nature of the pieces was intriguing, but after a while I found it more irritating than intriguing. Each piece can lie in only two orientations, which isn't really that interesting. I was hoping it was a true 2D and 3D packing puzzle, like Lonpos. Hi George. 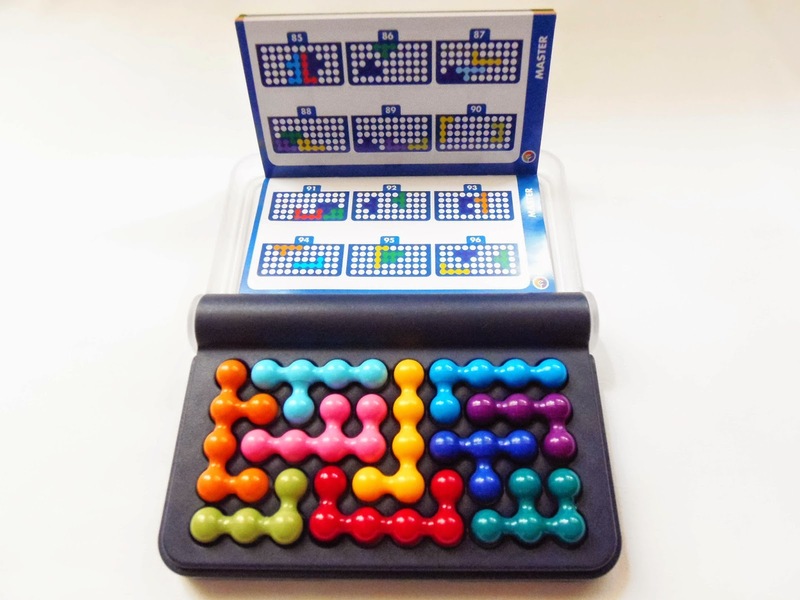 They actually have a puzzle like that, the IQ-Puzzler: http://www.smartgames.eu/en/smartgames/iq-puzzler. Curiously enough, that's the only one I don't have right now, so I can't say much about it. My family and have solved pretty much all of them bar #120... and my 3-year old tore off the last page a while ago which means we don't have a solution! Can anyone help by providing a solution photo for that last puzzle? Would greatly appreciate it! Finding that specific puzzle in my collection would be a tremendous task, but I believe if you drop an e-mail to SmartGames' customer support they will send you a solution booklet. Where i can find an electronic version of iqtwist booklet. Unfortunately I lost my own. Hi, you can contact SmartGames and ask for a digital copy of the booklet.